As a golf industry leader, TaylorMade first made a name for itself with its award-winning drivers. The company continues to offer new and improved clubs to golfers of all levels with its irons, hybrids, putters, and full lines. One of TaylorMade’s most acclaimed lines is its Burner SuperFast line; Burner SuperFast clubs are designed to be lighter and more aerodynamic for a faster swing and longer distances. One of the popular clubs in the Burner SuperFast line is the TaylorMade Lady Burner SuperFast 2.0 Rescue Hybrid. Like other Burner SuperFast clubs, this hybrid uses the lightest shaft material and grips. Part of the second generation of Burner SuperFast line, the Lady Burner SuperFast 2.0 Rescue Hybrid features advanced technology for a greater sense of control, consistency, and accuracy. Rescue hybrids are relatively new in golf. Designed to replace long irons, rescue hybrids are used by golfers who need to achieve long drives or avoid hazards without overshooting the green. With the ability to replace 1-irons through 5-irons, rescue hybrids are a versatile option when consistency and distance are needed. The TaylorMade Lady Burner SuperFast 2.0 Rescue Hybrid fills just such a place in the cart bags of lady golfers of any skill level. This hybrid has a shaft made of graphite, which is typically the preferred material for women golfers for its light weight and superior vibration control. The hybrid’s longer shaft and lighter overall weight enable golfers to swing the club faster and with more power, resulting in longer and faster drives. With a lower center of gravity, the hybrid promotes a distance enhancing swing. 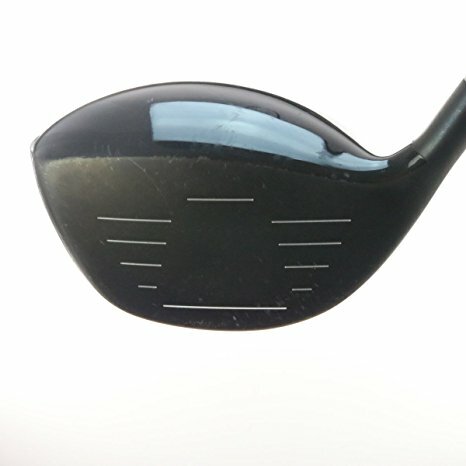 The club has a unique look: a black center with white edging, which is designed to reduce glare and allow a more accurate line-up with the ball. 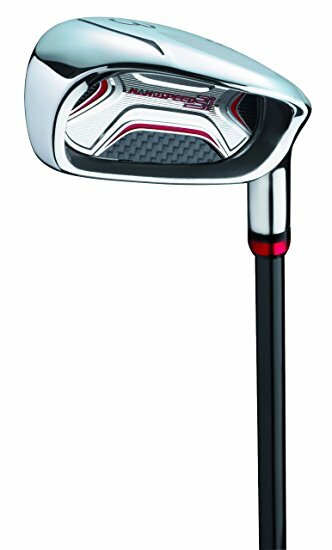 Women should find the TaylorMade Lady Burner SuperFast 2.0 Rescue Hybrid a welcome addition to their club set, especially for golfers who are not able to achieve the distance or consistency with their long irons. The hybrid looks sharp, but its looks are also functional on the course. While the longer shaft may take a bit of getting used to, golfers will find that they can achieve greater power and speed with practice. Originally started in 1979 to design replicas of classic golf clubs from the 1940s and 1950s, California-based Cleveland Golf makes a wide variety of golf clubs today. Now, the company focuses on producing classically styled golf clubs with modern technology. Cleveland Golf has entered the hybrid market since hybrid clubs have been increasingly popular with both professional and amateur golfers. The Cleveland HiBORE Bloom Hybrid is primarily designed to create optimal launch conditions. Its distance driven geometry ensures a lower center of gravity, while the energy transfer core more efficiently transfer energy to the ball for faster ball speeds. The hybrid features a large head size with a huge sweetspot for maximized ball speed, even on mishits. It is no wonder that Cleveland golf, known for its classic designs that use modern technology, would enter the hybrid market. The popularity of hybrids today stems from their greater versatility throughout the course and their overall ability to achiever longer distances. The Cleveland HiBORE Bloom Hybrid brings some of Cleveland Golf’s exclusive technology and features to a hybrid that many levels of women golfers can enjoy. The central theme of the Cleveland HiBORE Bloom Hybrid is optimal launch conditions. With distance driven geometry, the hybrid places much of the clubhead’s weight into the deep center of the head, which creates a low and deep center of gravity. A C.O.R Hot Spot is carefully placed behind the center of the large face to easily transfer more energy to the ball upon contact. Inside the clubhead is a set of thin titanium spines that allow for a more efficient transfer of energy to the ball. 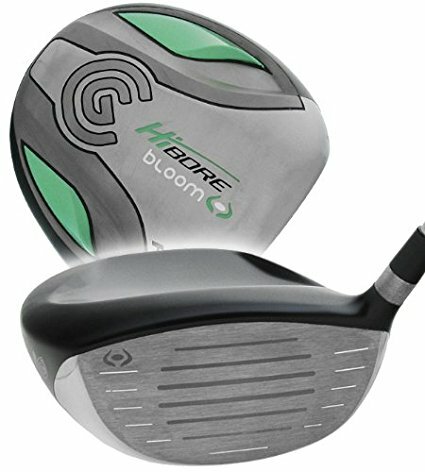 The Cleveland HiBORE Bloom Hybrid is an update of the previous HiBORE Hybrid; the Bloom edition includes more offset for a squarer face upon impact for greater control and trajectory. The club’s graphite shaft is lightweight and stable. One unique feature is the toe graphics, which change colors when exposed to sunlight or UV rays. With nearly perfect reviews, the Cleveland HiBORE Bloom Hybrid is sure to please any lady golfer, whether she is a high- or low-handicapper. Women found it easy to use and a welcome replacement to fairway woods or traditional irons. Overall, the club was praised for its ability to achieve hits that are “wonderfully long and straight.” Most players used this club for longer fairway shots and shots out of the rough. The Callaway FT-iZ Tour Driver is a latest offering by one of the top names in golf. Callaway Golf, an American company with a long list of PGA and LPGA endorsers, focuses on integrating the latest technology into clubs that fit a wide range of golfers, from high handicappers to the pros. A new driver to the golf scene, the Callaway FT-iZ Tour Driver with features inspired by tour pros. Its large 440cc head has a smaller footprint than many models and a deeper set face. An open face angle, reduced face progression and a full-length hosel mirrors the type of clubs preferred by pros. Its External Web Weighting positions the clubhead’s center of gravity at the perfect spot for greater power behind the shot. Finally, the head is made of a carbon composite material with a titanium face cup for an even lower center of gravity and higher moment of inertia. The clubhead’s unique shape and styling looks great on the course, but its design is truly about getting the most aerodynamic shape possible for reduced drag and a smoother swing. This Tour Driver is available in both right-handed and left-handed versions, and each club has an Aldila Voodoo shaft, available in stiff or regular. 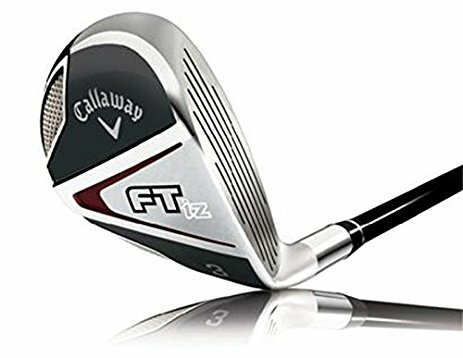 Calloway’s main claim about the FT-iZ is that it is the longest and straightest driver made yet. The driver’s polar weighting makes it stand out among the crowd. 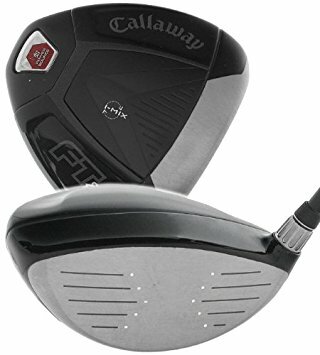 Callaway’s engineers have created the driver to have nearly three-quarters of its weight at the face and the back port. The result is a club that is more stable, particularly in the face of mishits. Released to great acclaim, the Callaway FT-iZ Tour Driver has been tried widely by tour pros, Callaway fans and players with other preferred brands. Callaway’s new features have resulted in a better game and further shots for many players, especially those who are mid- to high-handicappers. The club’s progressive style head may be a bit of an adjustment for players used to a more traditional style, but the driver holds its own among the competition. 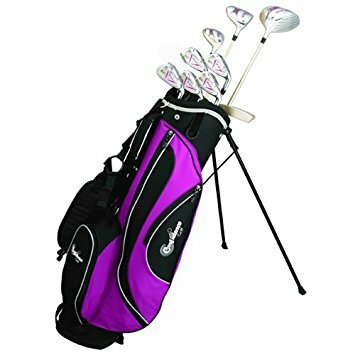 Since its inception in, 1922, Voit has been “providing great quality equipment for the whole family to enjoy.” The Voit XP Ladies All Graphite Golf Club Set & Stand Bag is an affordable set designed exclusively for women. With two woods, hybrid, seven irons, putter, and stand bag, the Voit XP set includes everything women need to navigate the golf course with ease and style. All of the clubs in this set have graphite shafts made with lightweight material that controls feedback, an ideal choice for women. Clubs have oversized heads and large sweetspots for maximum consistency. The stand bag is fully functional with dividers, external and internal pockets, padded shoulder straps, and pop-out legs. One of the oldest sporting goods manufacturers, Voit, has produced full lines of golf products for men, women, and teens. 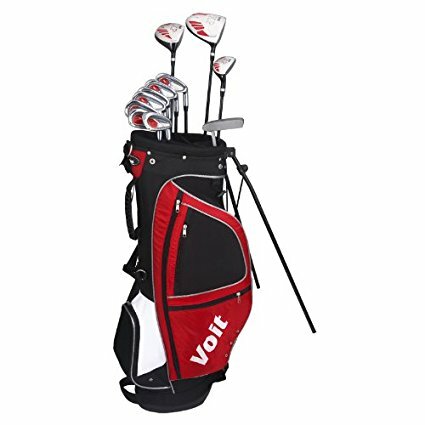 Their Voit XP LADIES ALL GRAPHITE Golf Club Set & Stand Bag is designed for new and improving lady golfers. Each piece is made with a graphite shaft; many women prefer graphite shafts for its light weight and vibration control. The set’s seven irons, a 5-iron, 6-iron, 7-iron, 8-iron, 9-iron, pitching wedge, and sand wedge, are all oversized with wider soles for a larger hitting surface. The 24 degree hybrid replaces the 3-iron and 4-iron; golfers will find that this hybrid is easier to control and achieves a longer distance. Two woods, a 15 degree 3 wood and 12 degree driver, have graphite shafts and matching headcovers. The driver’s oversized 460cc titanium head provides plenty of hitting area, and the 3 wood also features a large head. Lastly, the set includes a traditional blade-style putter with classic styling. 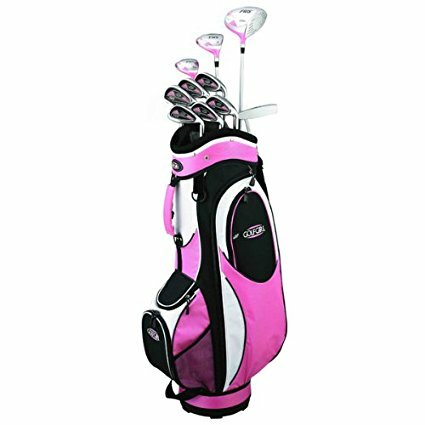 The included pink stand bag has plenty of padding, room of all of the clubs, and pockets for accessories, tees, balls, and umbrella. The double padded straps and light weight material make the bag easy to carry. 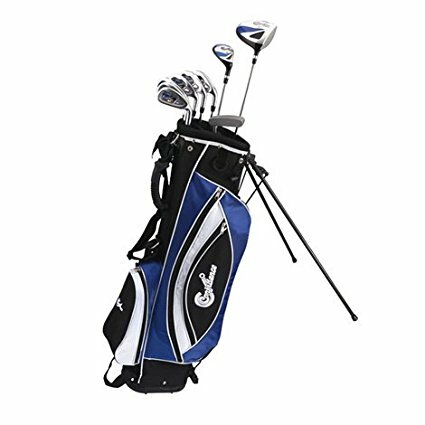 New and improving lady golfers will appreciate the versatility and affordability of the Voit XP LADIES ALL GRAPHITE Golf Club Set & Stand Bag. A complete set that includes a driver, wood, irons, hybrid, and putter, the Voit XP set will serve players well throughout the course. Product reviews have rated the set highly and commented on its nice styling, quality graphite shafts, and high forgiveness. Palm Springs Golf has brought together a full set of clubs with everything new or experienced golfers need to work the course. 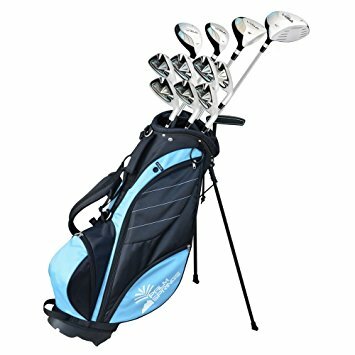 The Palm Springs Golf Visa Lady All Graphite Hybrid Club Set and Stand Bag offers a mix of irons, woods, hybrids, and a putter all with high modulus graphite shafts that are lightweight and forgiving. The set also includes a roomy nylon stand bag with automatic stand legs, zippered pockets, and padded straps for easy transportation. 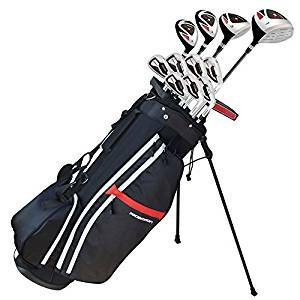 The Palm Springs Golf Visa Lady All Graphite Hybrid Club Set and Stand Bag is a rare set that includes 2 woods, a driver and a 3 wood; 2 hybrids, an 18° and 21°; 6 irons, a 5, 6, 7, 8, 9, and PW; and putter. Each club is made with a graphite shaft, an ideal material for women because of its ease of handling and low levels of feedback. 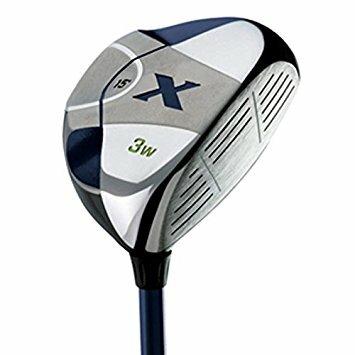 The Titanium Matrix driver has an oversized head with large sweetspot and rear weight configuration for reliability and distance. The inclusion of 2 hybrids puts this set apart; the hybrids replace the traditional 3 and 4 irons, which can be difficult to handle, especially for women. The blade-style putter has an easy align system and is weighted for easy control. 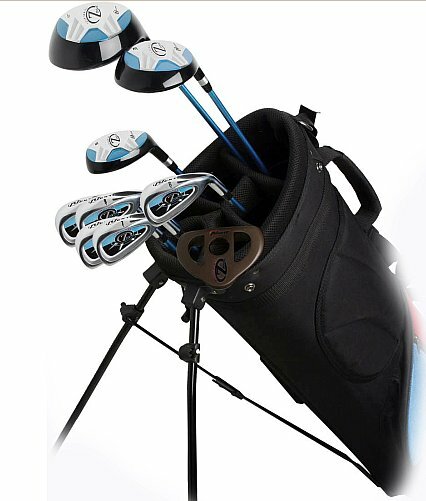 The set of 11 clubs fit neatly into the stand bag; five dividers, putter pocket, and external pockets keep everything neat and organized. A rain hood and club headcovers offer protection on and off the course. 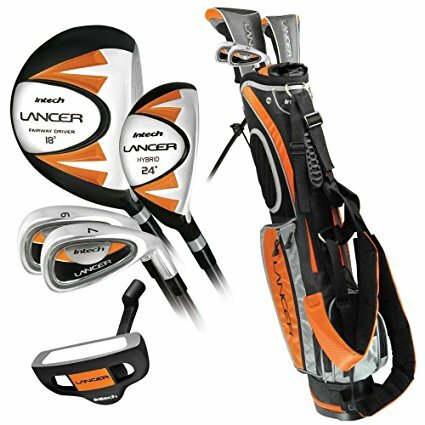 The Palm Springs Golf Visa Lady All Graphite Hybrid Club Set and Stand Bag’s reviews have focused on the quality and lightweight feel of the clubs and the attractiveness of the set as a whole. Beginner and intermediate players alike enjoyed the set’s new technology in the 2 hybrids and the graphite shafts. The oldest company in the golf industry, FORGAN, began in 1860 in the home of golf, St. Andrews. A long, prestigious history precedes the company that makes golf clubs out of a 14,000 square foot facility in California. FORGAN golf clubs are played and loved around the world and used by both men and women. The FORGAN Series 1 Golf Club Titanium 460cc Driver offers “precision weight balanced for ultimate performance.” A new design by FORGAN, the Series 1 Driver has a clubhead with multiple features. The all-titanium clubhead comes in the largest size legal, a 460cc head. A larger clubhead means a higher moment of inertia for greater forgiveness and reliability. A large sweetspot in the center of the club directly behind its powerful center puts explosive power behind the ball, which leads to faster and longer drives. The club is carefully constructed to have a very low center of gravity for greater distance. Overall, the club has a solid, stable feel for better control through the swing and accurate feedback. The club offers a ladies flex shaft for a bit more “give” preferred by the typical lady golfer. Silver and green accents color the club and the included matching headcover. 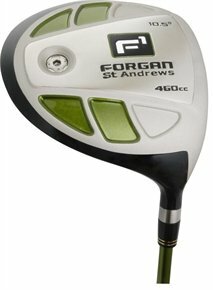 Reviews and users have praised the FORGAN Series 1 Golf Club Titanium 460cc Driver with enthusiastic comments like “WOW! This thing hits straight as an arrow for me and FAR. Every one of my drives was right on target. I love this Driver! !” For a high quality driver with an oversized head at a very reasonable price, FORGAN Golf offers a versatile driver in the Series 1. TaylorMade Golf may be the golf industry’s top name in drivers, but that does not mean that they have excelled at designing other clubs. 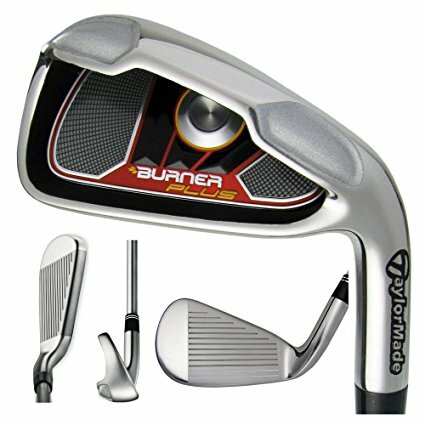 The company’s most popular line, its Burner series, has drivers, irons, fairway woods, and rescue clubs for men and women. 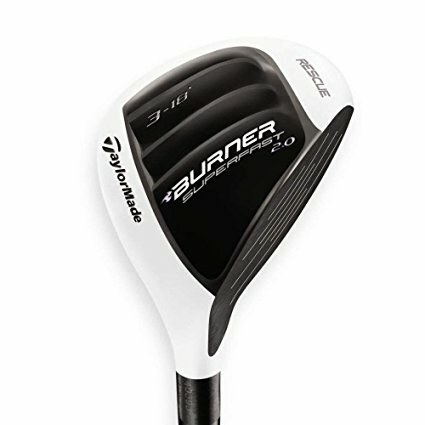 One of TaylorMade’s recent releases is its set of Burner SuperFast Fairway Woods, which have upgrades to the original line that allow players to reach even faster club and ball speeds. 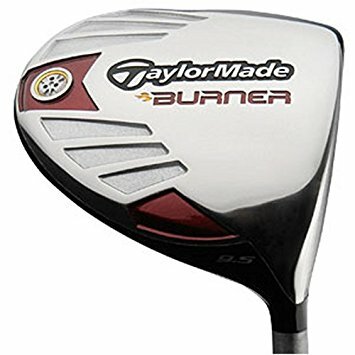 The TaylorMade Burner Superfast #3 Fairway Woods are designed to replace the traditional 3-irons and are built for greater speed, higher trajectories, and farther drives than irons. The club’s SuperFast name and nickname of “speed demon” stem from new improvements to the woods: a lighter overall weight, larger head, and longer shaft length. The result is an amazingly fast and lightweight club that has been highly reviewed for its ability to achieve distances that rival drivers and an extremely high ball flight. 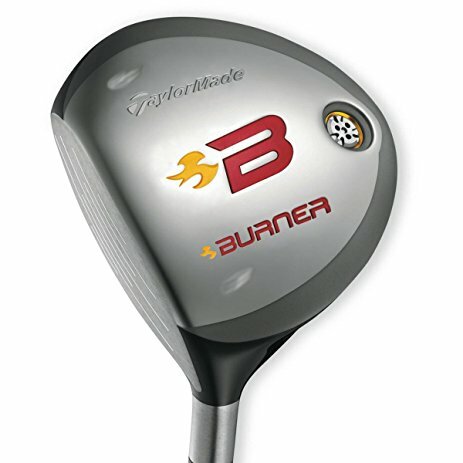 TaylorMade’s line of Burner clubs was first released in 2007, and each year has featured new releases and updates to the line. In 2010, the company released a new set of fairway clubs, including the TaylorMade Burner Superfast #3 Fairway Woods. The clubhead of the Burner Superfast #3 Fairway Wood is bigger than previous Burner woods; in fact, its 200cc head is the largest steel head on any TaylorMade wood. The larger head has a larger face that offers players more forgiveness and confidence. The headshape itself is newly redesigned with a rounded crown for improve aerodynamics and reduced drag. TaylorMade engineers have been able to get this fairway wood down to an impressively low 301 gram total weight. They achieve this with the lightweight Matrix Ozik X-Con 4.8 graphite shaft and superlight 30g Winn grip that has superior feel and traction. Also, the clubhead has ultra-thin walls that are .6mm thick, which is as much as 40 percent thinner than competitor clubs. Overall, the TaylorMade Burner Superfast #3 Fairway Woods has received nearly 5 out of 5 stars for distance, playability, and appearance. 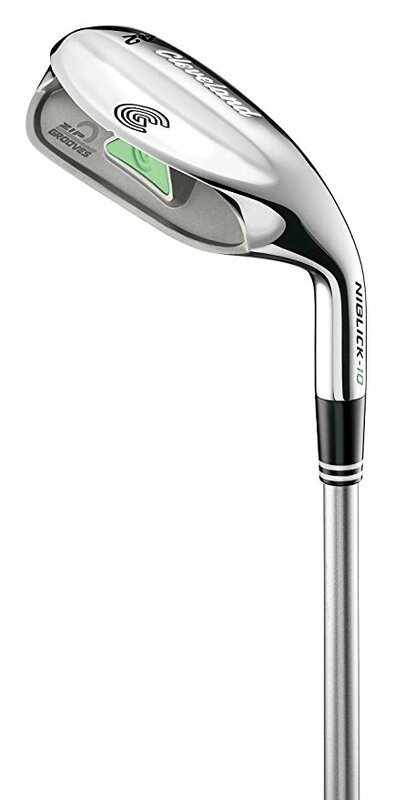 The club’s nickel and black colors and large, fast-looking triangular head are very appealing and inspire confidence on the course. With an extensive list of tour players from the PGA and LPGA who use their clubs, Nike Golf is a top name in the golf industry. With a parent company that is a world leader in sports, it is no wonder that Nike Golf continues to maintain a solid share in the golf industry. With a full line of tour-tested golf gear, including clubs, balls, tees, and accessories, Nike Golf brings professional technology to both tour players and amateurs. Nike’s Machspeed line focuses on helping golfers get more ball speed in order to achieve greater distance. One of only two hybrids Nike Golf currently has available, the Nike Machspeed 3 Hybrid features an aerodynamic square shape with an overall light weight for faster swings with less drag. This graphite-shafted hybrid has received high marks for its stability, speed, and distance. The Nike Machspeed 3 Hybrid is grounded in what Nike terms “The Oven,” which is partly responsible for the club’s large open shape. This large, square design is engineered for optimal aerodynamics; air moves quickly and smoothly around the clubhead, reducing the drag that other clubs offer. Within the square head, weight has been shifted to the perimeter, which delivers greater stability and more forgiveness. In addition, the Machspeed 3 Hybrid has an ultra-thin face and a Split Compression Channel that allows more power to connect with the ball directly for longer shots. Its graphite shaft is lightweight at only 70 grams and is long as 40 inches; Nike engineers have given the club these specifications to improve swing speed even more. 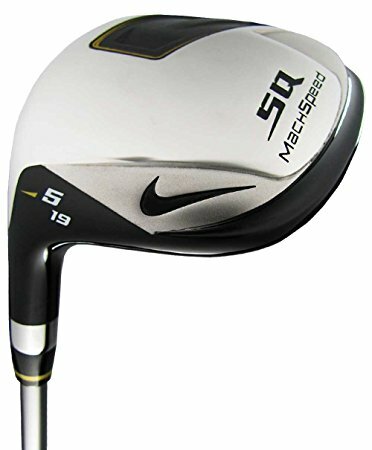 The Nike Machspeed 3 Hybrid has a loft of 21 degrees, a lie of 59.5 degrees, and a D2 swingweight. The Nike Machspeed 3 Hybrid has received a host of perfect five star reviews. The hybrid has been most used and reviewed by intermediate players who are looking for a hybrid to even out their current set of golf clubs and help hit shots that their irons miss. Players love the “unbelievable sweet spot” and “very long and very forgiving” shots that the hybrid gets. This hybrid gets long, straight distance with a soft landing on the green. Even reviewers who have struggled with other hybrids found this one from Nike easy to master. With a combination of quality and versatility, the Machspeed 3 is an excellent first, or second, hybrid to invest in. One of the most award-winning names in the golf industry, Callaway Golf offers golf gear for any level of players, from casual players to tour players. With a mission to give golfers the tools needed to enjoy the game and experience success on the course, Callaway Golf has developed exclusive technology to enhance the performance, feel, and sound of their clubs. Named in part for its Fusion Technology, the Callaway FT iZ Hybrid stood out among 400 clubs to be awarded a gold medal in Golf Digest’s 2010 Hot List. Fusion Technology outfits the clubhead with a strong, stainless steel body and sole with specialized weighting for a higher moment of inertia and lower center of gravity. With a large clubhead, offset hosel, and exclusive VFT technology, this hybrid offers plenty of stability and forgiveness. Reviews have praised the hybrid’s ability to get fast ball speeds, long drives, and straight shots, all with less of a tendency towards twisting than other hybrids. Callaway Golf has produced another winner of a club with the Callaway FT-iZ Hybrid. Fusion Technology creates the clubhead out of stainless steel with Metal Injection Molded and high-density weights for the most optimal weight distribution. The result is a club with a higher moment of inertia and lower center of gravity that achieves high, long drives. The clubhead is large with a huge sweetspot and plenty of stability. Callaway’s exclusive VFT technology maximized the face of the club; the face is thicker in the middle and thinner at the edges to get more power behind the ball. These hybrids have an offset hosel, graphite shafts, and a 40.25” length. Besides being a gold medal winner in Golf Digest’s 2010 Hot List, the Callaway FT-iZ Hybrid has received more praise from testers and players alike. Known for its ability to get a shot with “high, straight, repeatable flight with soft landing,” this hybrid has the ability to excel even in the roughest parts of the course. Chicago-based Wilson Golf is the golf division of one of the world’s leading sports equipment companies. With golf greats like Arnold Palmer among its club users, Wilson is known for creating quality golf products designed for amateur and professional players alike. The Wilson Hope Platinum Ladies Complete Golf Set offers female golfers one of the most complete sets of performance-improving golf clubs on the market. With a total of 11 clubs, plus a quality club bag, this Wilson set provides anything a golfer needs to hit the course. The Wilson Hope Platinum Ladies Complete Golf Set offers a set of clubs that allow lady golfers to effectively work an entire course. The hallmark of the set is a graphite-shafted titanium driver with a huge 460cc head, the largest legal in the game. Graphite shafts, preferred for their light weight, are also found on the set’s wood and hybrid. These two pieces are not found in women’s golf sets as often, but women will likely appreciate the performance boosting power and speed of these clubs and the included traditional mallet putter. Rounding out the set are seven stainless steel irons, including a 5-iron, 6-iron, 7-iron, 8-iron, 9-iron, pitching wedge and sand wedge. A stylish pink, white and black club bag made of strong nylon with reinforced stitching provides long-lasting durability. 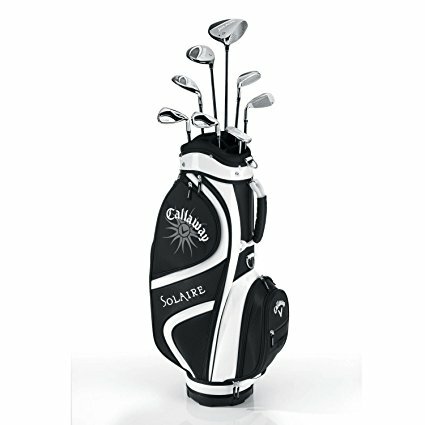 With a padded shoulder strap, the cart bag is easy to transport and comes with matching headcovers. 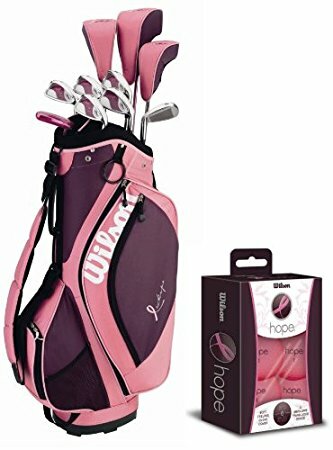 Wilson’s Hope line of women’s products demonstrates the brand’s commitment to women golfers and breast cancer prevention and cure. 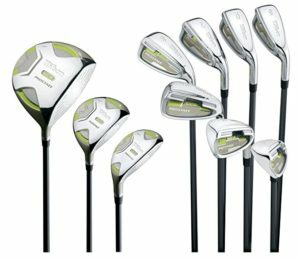 For new golfers or experienced golfers looking to upgrade to a nicer set, this Wilson Platinum Ladies Golf Set provides an excellent set of clubs with the kind of variety that allows players to adapt throughout the course. 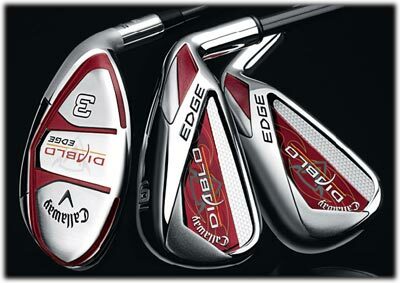 The clubs are quality made, and the graphite shafts of the driver, fairway wood and hybrid is a key benefit of the set. For women new to using hybrids, the included hybrid club will provide an easy-to-use introduction to this increasingly popular kind of club. The set’s clubs even work well for petite golfers. While the included cart bag may not be the best that is out there, it is more than sufficient for most golfers. 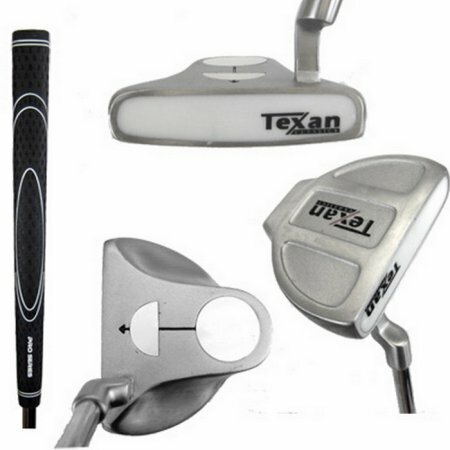 Texan Classics creates clubs with high-end technology at an incredibly affordable price. 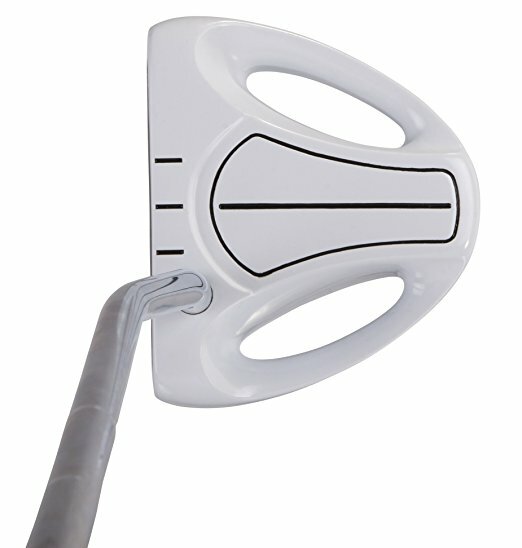 The Texas Classics Hot White Ball Putter 35” can be compared to the Odyssey White Hot Putter, a top-of-the-line putter with a hefty price tag. The Texan Classics putter has a soft insert for improved control and performance. 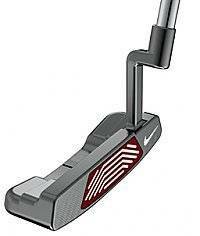 The putter looks stylish on the golf course and has been highly reviewed; it’s truly an exceptional bargain. The Texan Classics Hot White Ball Putter 35” is crafted after the award-winning Odyssey White Hot Putters, but at a small fraction of the price. Like the Odyssey putters, the Texan Classics Hot White putters have a specialize insert for a greater feel and control. It’s that soft White Polymer Insert that creates a true roll and more accurate alignment. With a solid steel shaft, the putter has a quality feel, and its Texan Classics all-weather grip adds comfort and protection. Texan Classics offers a one-year manufacturer’s warranty. With an overall rating of 4.5 stars out of 5 stars, the Texan Classics Hot White Ball Putter 35” provides exceptional quality and performance for an incredible price. Its sharp looks and quality feel give golfers the confidence needed on the course. The most noted feature was the putter’s ability to hit straight shots and experience true roll. One reviewer called it like “hitting pure putts.” Golfers can count on this putter’s accuracy, which is the most important thing to get out of a putter. Some reviews found it a bit heavier than other putters, but golfers found that the weight helps eliminate any wobbling for a straighter putt. Most reviewers, both high- and mid-handicappers, saw an immediate game improvement. 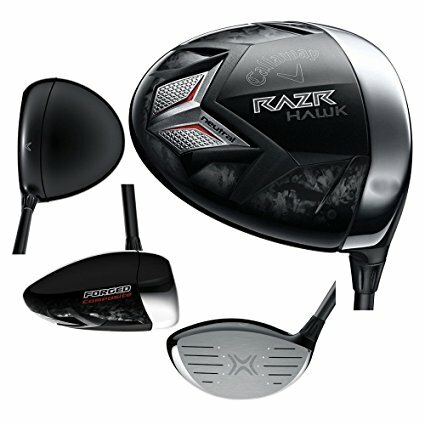 Callaway, arguably the most popular name in golf, has released a new driver that takes the best features of the FT-9 and, as the company puts it, “takes a giant leap forward.” Forged Composite material is the most noteworthy difference between the FT-9 and the newer Callaway Women’s RAZR Hawk Driver. California-based Callaway Golf has a long history in the game and is one of the few names in the golf industry that creates clubs for the masses that are also used by the pros. With the Callaway Women’s RAZR Hawk Driver, Callaway brings lady golfers the result of a joint effort between the company’s award-winning designers and the makers of Lamborghini. The result is the use of Forged Composite to create a driver that that is lighter, stronger and faster club that those on the market. It is the club’s Forged Composite and aerodynamic design that set it apart from other drivers, even other drivers by Callaway. Forged Composite technology is a new material that is strong than titanium with merely a third of the density. Thus, the clubhead’s thickness is expertly designed, resulting in a head that is strong and lighter than those before it. The club’s name comes from its aerodynamic shape, which has been redesigned for a significant reduction in drag. In fact, the RAZR has 43 percent less drag resistance than the FT-9. Imagine how 43 percent less drag could affect a swing: higher impact speeds and greater distance. Callaway’s exclusive Razr Weighting System and Hyberbolic Face Technology also contribute to the driver’s performance. Exclusively for women, the Callaway Women’s RAZR Hawk Driver comes in 11.5 degree and 13.5 degree lofts, both with a length of 44.5 inches. The Aldila RP Graphite Shaft ensures that the club handles smoothly with the right amount of flex. Even for women with a moderate swing speed, the RAZR really delivers. There may be drivers out there that get a bit more distance, but the RAZR delivers distance and the ability to shape shots. Adams Golf, an industry leader that specializes in bringing hybrid-iron technology to the full range of clubs, follows the motto of being “driven by inspiration.” That inspiration is behind the Speedline series, a set of clubs designed on the hybrid premise with the ability to function widely around the course. 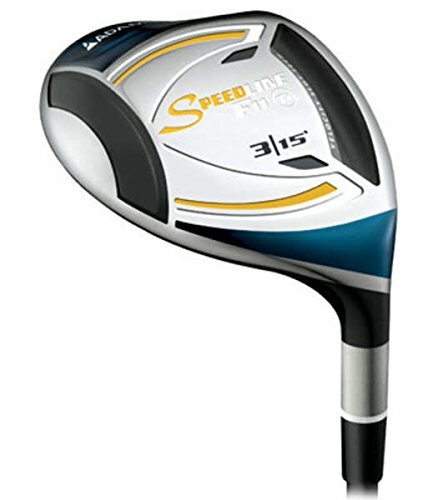 Speedline clubs featured ease of use, high ball speed, low spin, and greater distance. Adams Golf has taken the Speedline series to the next level with the recently introduced Adams Golf Speedline F11 Fairway Wood. Velocity Slot Technology is the biggest new improvement, and that technology has resulted in 21 percent more forgiveness, higher ball speeds, and up to 12 additional yards of distance. 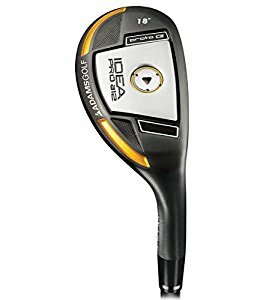 Tour pros like Ryan Moore and Tom Watson use this fairway wood, and reviews from non-tour players have been very positive. The Adams Golf Speedline F11 Fairway Wood is designed to offer hybrid- and driver-inspired technology all in a single, easy-to-use, and versatile club. Such an expansive goal requires significant technological breakthroughs. Adams Golf has introduced the Velocity Slot Technology, which consists of a visible channel on the crown and sole that serve to keep airflow with the club longer. The result of Velocity Slot Technology is impressive: a spring-like effect that offers 21 percent greater forgiveness, higher ball speeds, and as much as 12 additional yards. Velocity Slot Technology has created an expanded COR without having to increase the size of the clubhead. In all, the wood is Adam Golf’s longest and most forgiving fairway wood to date; it offers the distance of a driver, the versatility of a hybrid, and the consistency of a fairway wood. 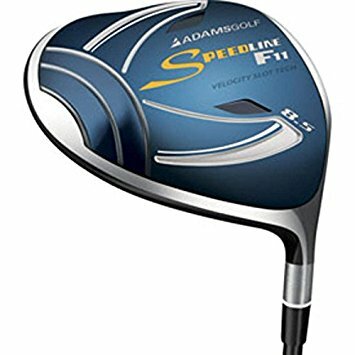 Adams Golf has really introduced something new with the Adams Golf Speedline F11 Fairway Wood. While many companies introduce new terms for their technology, much of the basics stay the same. Not so with the Speedline F11; the Velocity Slot Technology is very different. While the look of the slot on the club takes some getting used to visually, the club’s performance is difficult to argue with. 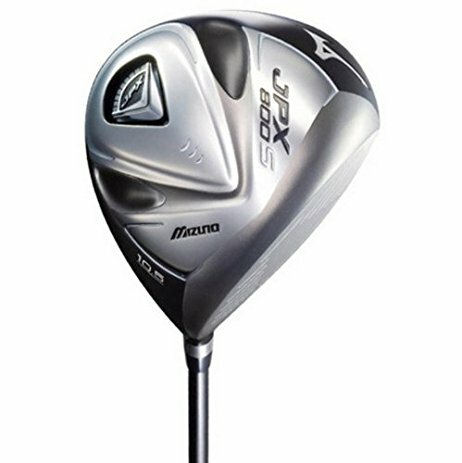 Players found that it gave them the benefits of a hybrid in a fairway wood, so the F11 actually had more versatility than either of those types of clubs. The Leupold GX-2 is a snazzier version of the GX-1. Visually, the only difference is its silver color. But the similarity ends there. For the GX-2, Leupold has added two useful features – True Golf Range™ (TGR™) and Club Selector. The Leupold GX-2 succeeds the GX-II (introduced in 2008). Like the GX-1′s evolution from the GX-I, Prism Lock and Fog Mode are new additions from the earlier version. Unlike the GX-1, the Leupold GX-2 is not tournament-legal, as the TGR™ and Club Selector functions go beyond measuring simple line-of-sight distances. So if you’re looking for a range finder for tournament play, consider the GX-1 or Callaway LR550. What’s New in The GX-2? The GX-2 boasts two features not found in the old GX-II – Fog Mode and Prism Lock. For die-hards who doesn’t mind playing in less than ideal weather, the Leupold GX-2′s Fog Mode comes in handy. It screens out false readings from fog, drizzle and rain to maintain accuracy. Fog Mode is always on, but can be turned off in the Options menu. If your favorite courses are equipped with prisms on the flagsticks, you’ll enjoy the Prism Lock feature. The Leupold GX-2 will sound a beep when it locks onto a prism as you’re scanning the course ahead. So that the readout won’t be lost if you scan past the pin, the display will freeze with the distance at which the prism was detected. Like the GX-1 and other “one-hand” range finders, the Leupold GX-2 fits nicely in your pocket. The case is also fitted with a clip you can use to attach it to your golf bag. The advertised maximum range of the Leupold GX-2 of 750 yards is lower than its competitors. But we think 1000+ yard ranging capability is just marketing hype anyway. It’s hard to imagine a real need measure that kind of distance on the course. The GX-2 can capture the distance to the pin from up to 400 yards, as per the manual. Our experience shows the GX-2 performs consistently well to around 300 yards. Once you go beyond that, it’s likely to take a few tries before you get a reading you can feel confident in. The 6x magnification of the GX-2 is squarely middle of the road in comparison to most other range finders. In our view, though, it’s more than adequate on the course. Like the GX-1, the GX-2 also features 7 user-selectable aiming reticles (cross-hairs). The Leupold GX-2 has two features that distinguish it from the otherwise identical GX-1: True Golf Range™ (TGR™) and Club Selector. 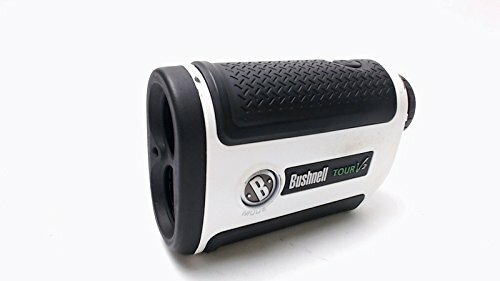 Like the Bushnell Tour V2, the GX-2 takes into account the slope of the terrain between you and the green (or other target) to determine a more accurate distance for the next shot. With TGR, the Leupold GX-2 goes even further by factoring in altitude and air temperature. Both variables must be entered into the device manually. The GX-2 does not determine them on its own. Closely tied to TGR is Leupold’s Club Selector, a nifty feature that recommends which iron to use based on the “true” distance determined by TGR. The Club Selector is not available unless TGR is turned on. Club Selector should be calibrated by entering the average distance you hit with your 8, 6 and 4-irons. From those figures, the GX-2 determines your distances for the other irons using a special algorithm. Without information about your personal distances, Club Selector will use presets of 130 yards for an 8-iron, 150 for a 6-iron, and 170 yards for a 4-iron. 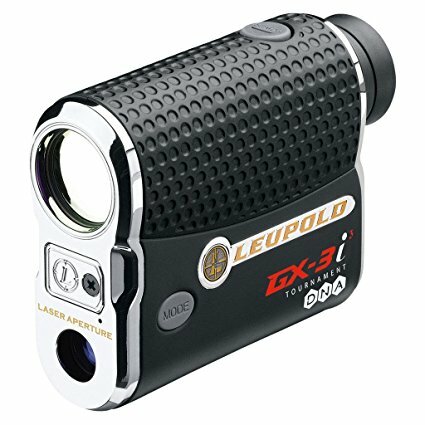 Like the GX-1, the Leupold GX-2 has the PinHunter feature that makes it easier to range the flagstick. Signals from more distant objects in the background are ignored in favor of (possibly weaker) signals from nearer objects. So, if there is a stand of trees behind the pin, the GX-2 will be able to distinguish the stick from them. As with the GX-1, PinHunter is an “always on” feature of the GX-2. There is no need to switch back and forth between scanning and attempting to lock onto the pin, a convenience we very much appreciate. 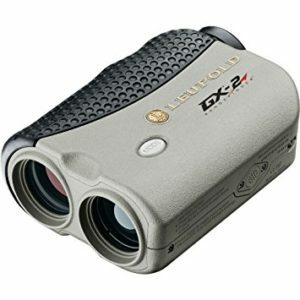 The GX-2 is an excellent range finder that we wholeheartedly recommend. It’s as accurate as the GX-1, and we’re fans of Leupold’s Prism Lock and “always on” PinHunter features. The TGR and Club Selector features add to its appeal for us, technology buffs that we are. While they make the Leupold GX-2 illegal for tournament play, they’re definitely nice to have. 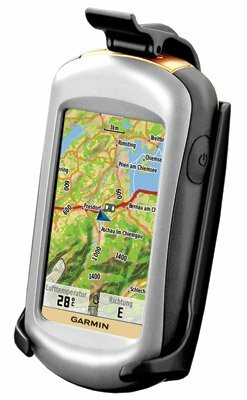 Plus, the GX-2 can be used during practice rounds to map out the course ahead of time and take some detailed notes. Even with TGR, there are still some things you need to account for yourself. Wind speed and direction, humidity, and how the course is playing on a given day will all impact your game. Despite today’s technological advances, there is still much room in golf for good old human judgment. As we pointed out in our Leupold GX-1 review, the yardage readout shows in the upper part of the display. Unfortunately, this occasionally causes some difficulty reading the yardage when there are dark objects in the background, such as trees. We’d also like to see Leupold stand more firmly behind the GX-2 with a warranty longer than one year. 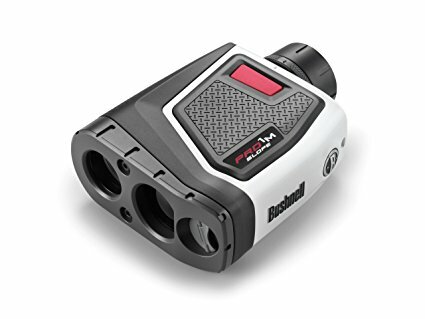 The Bushnell Pro 1M is the most recent addition to the brand’s roster of top laser rangefinders on tour. It is engineered with further improvements to its predecessor, the Bushnell Pro 1M 1600. 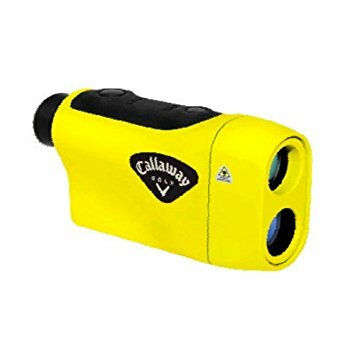 One of the most advanced features added to the Pro 1M is its Vivid Display Technology, which makes it the ultimate laser rangefinder for serious golfers and professional golf tours. It also delivers exceptional ranging capacity from 5 yards up to 1 mile, while presenting pin distance precision with its +/- 1 accuracy. The Pro 1M laser rangefinder works hard on the fairway while looking good on your hands with its horizontally-oriented, ergonomic design. 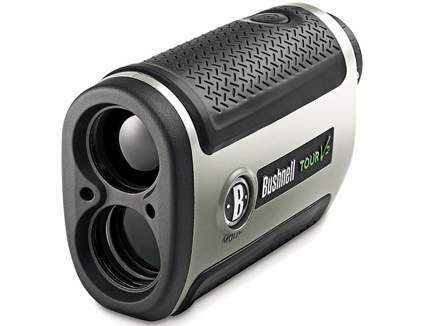 It is also equipped with other useful features such as the 7x magnification capacity, Powerboost technology, Pinseeker mode, and more. 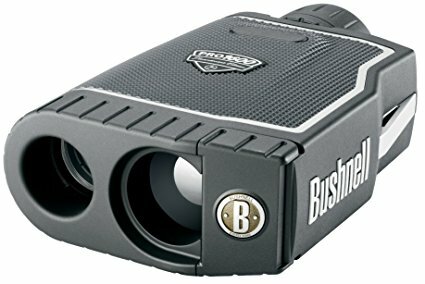 Reaching an incredible 1 mile capacity, the Bushnell Pro 1M is the most powerful laser rangefinder that ever hit the market. 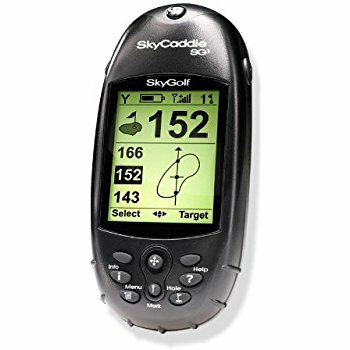 It is also made with a plus 1 or minus 1 accuracy which delivers the precise distance to the pin, thus eliminating the guesswork and speeding up game play. This special feature offers higher resolution, better light transmission, and clearer distance readouts. It also presents unprecedented accuracy as it dramatically enhances the display to allow quick and positive target detection in any lighting condition. The 7x magnification capacity of the Bushnell Pro 1M is the highest among laser rangefinders in the market. This offers a significant difference when aligning targets and locating objects way out in the distance. 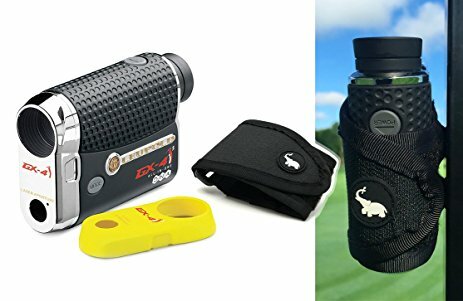 Measuring 1.7″ x 5.1″ x 3.7″, the Pro 1M is still bigger than most vertically-held rangefinders in the market but still has the aesthetic appeal to with the latest models. It weighs a solid 12 ounces, so you know that it won’t easily break when you accidentally drop it. PowerBoost Technology – new and innovative technology that lets you get 35 percent more flag acquisitions. Pinseeker Mode – this will let you lock on to targets and pick up flags even with other objects in areas you scan. Premium Lens Coating with RainGuard Technology – provide superb optical quality and added protection against wet conditions. 3V Battery with PosiThread Battery Door – the 3V battery pack comes with an extended battery life and is made lightweight to keep the device stable when using. It’s locked in place with a PosiThread battery door that screws shut for extra security. The patented Slope technology works by calculating and adjusting the yardage based on the degree of the slope. This means that you will get compensated pin distances whether it’s downhill or uphill, thus letting you make the proper club selection for better shots. The 100 percent water proof construction of the Bushnell Pro 1M keeps it fully functional not just on clear and sunny skies, but on rainy days too. The unit is a horizontally-held design, which solves the issues with vertical laser rangefinders that involve unsteady, one-handed operation. To help get more control over the rangefinder, it uses a tacky rubber grip. The outer shell is layered with tacky and comfy rubber material so fingers interact snugly with the rangefinder for a non-slip, ergonomic use. The Bushnell Pro 1M comes with a premium carrying case and is covered with a 2 year limited warranty. 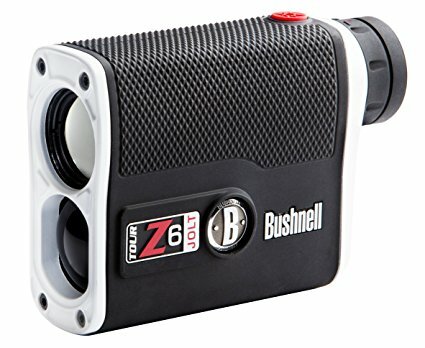 Distance, accuracy and ease of use are all prominent features of this rangefinder. The slope technology used also helps to bring you back the perfect distances, no matter what the elevation is for your next shot. Overall, the Bushnell Pro 1M is one of the premium range finders and really delivers the information you want quickly and accurately.